In 1893, John R. Daily opened the Union Market, a local retail meat market in Missoula, Montana. The market supplied local residents with fresh meat. This was the beginning of Daily’s Premium Meats. Daily’s has been making the finest quality smoked and processed meats since 1893. From their signature honey-cured bacon to delicious hickory smoked hams, Daily’s offers a variety of products for both food service and retail. 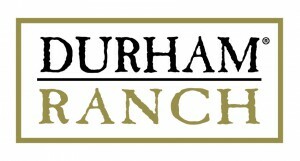 Durham Ranch brand sees the demand for high quality specialty meat products, raised sustainably and naturally. Our products are sourced from small family farms or in some cases grown naturally in the wild. They are processed under the supervision of the USDA by our Sierra Meat and Seafood company in Reno, Nevada, as well as in select locations throughout the USA, always under our direct supervision and to our exact specifications. Nueske’s bacon is so good it has won national acclaim from The New York Times, Chicago Tribune and Cuisine Magazine and has been named Gold Award Winner in the Specialty Food Association’s 2010 national competition. The taste is unforgettable. 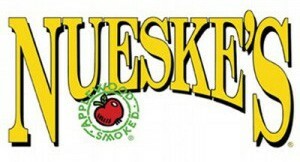 Nueske’s smokes their bacon over glowing Applewood embers to give it that rich, smoky flavor. It comes thick-sliced or thin-sliced in 1 lb. vacuum-sealed packages for your storage convenience. Flocchini Family Provisions is an independent USDA manufacturing plant in Carson City, Nevada. A third generation family company, we have fine tuned our skill at crafting authentic, flavorful meats through traditional means. Hands down, our best seller… Thick Sliced and Dry Cured Bacon is the perfect compliment to any dish, from breakfast to dessert! For over 100 years, the Falls Brand Family continues to deliver the traditional quality of great taste, uncompromising standards and value unique to their line of hardwood smoked meats and fresh sausage products. They take pride in their old world recipes handed down through the generations! 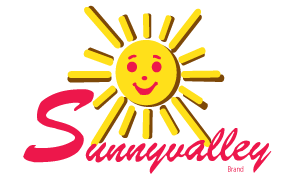 Sunnyvalley Smoked Meats is large enough to serve your needs, but small enough to appreciate your business. We are committed to producing the finest quality and best tasting bacon and ham on the market.